THEATRE BROOK is a classic example of a band that follows its own musical vision regardless of prevailing trends. Since the band was founded in Tokyo in 1986, Theatre Brook has specialized in an intense, funky brand of rock that’s firmly rooted in the ‘70s. 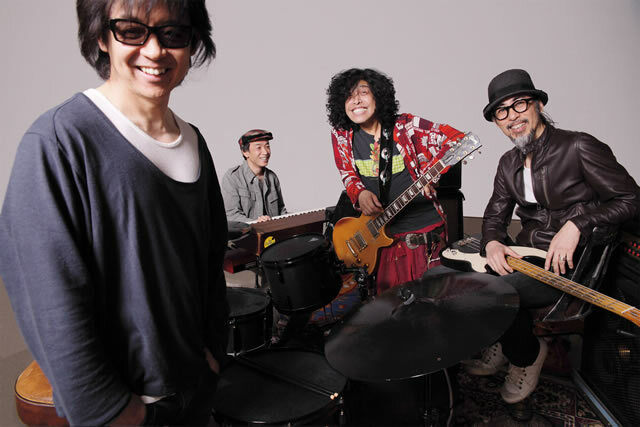 The band started out as trio consisting of singer/songwriter (Sato Taiji/Taiji Sato), bassist Takashi Nakajo, and turntable operator Akihiro Yoshizawa, who were augmented during live performances by various “support members.” These days only Sato and Nakajo are regular members of the band. The band’s first release was a 1988 vinyl mini-album simply titled Theatre Brook, which the group distributed itself. Theatre Brook got a big break when they opened for the Red Hot Chili Peppers in January 1990. The group signed a deal with Shimokitazawa, Tokyo-based management/label group UK Project and later with Epic/Sony Records.